I recently developed a math workshop lesson on math vocabulary using the ideas discussed in “Four Practical Principles for Enhancing Vocabulary Instruction” and “Oral Language Needs: Making Math Meaningful.” Using this information as inspiration, I created several stations focusing on practicing math vocabulary: Visual Dictionary, Vocabulary Tic-Tac-Toe, Connect Two, Vocabulary Magnets, and Math Revising. General directions: After focus lesson on key vocabulary word, students draw a picture and write a sentence describing how their pictures represents the key word. 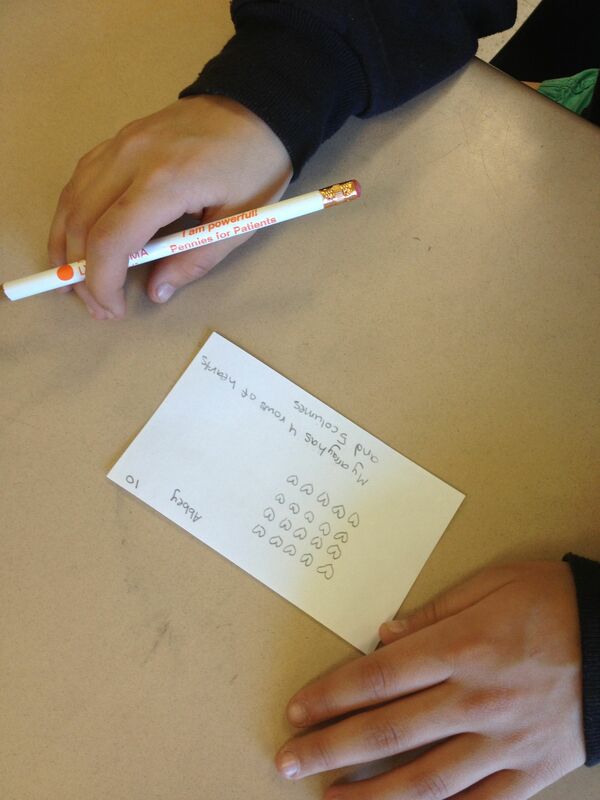 Teacher reviews cards for formative assessment, returns cards once they are accurate, and students collect in Ziploc bag or on a ring to use as a resource. 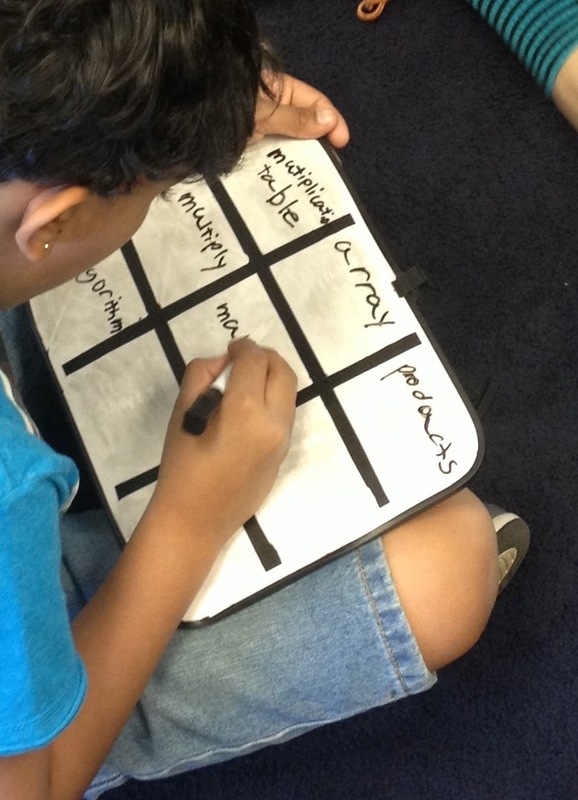 General directions: Students record vocabulary words on tic-tac-toe board. 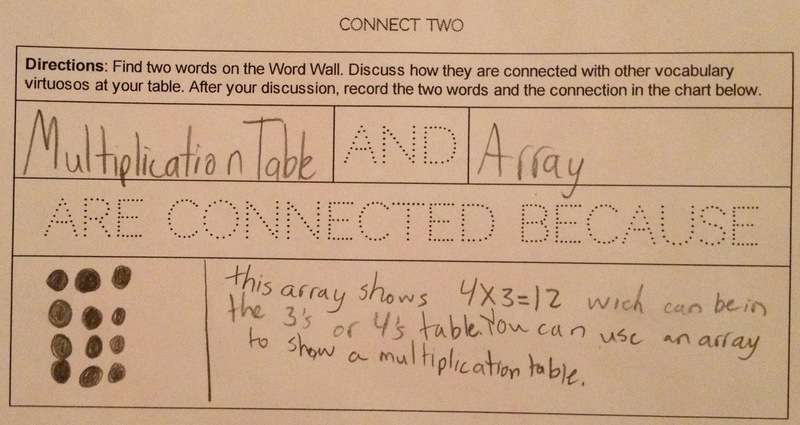 To place their X or O, students need to define, give an example of, etc. the word. General directions: Students use the word wall to practice spelling the words to gain familiarity and lose anxiety about using the words in discussion or writing. After they’ve practiced the words, they play Jumble (choose a word from the wall, mix up the magnet letters, and partner has to guess the word) or Hangman with a partner. 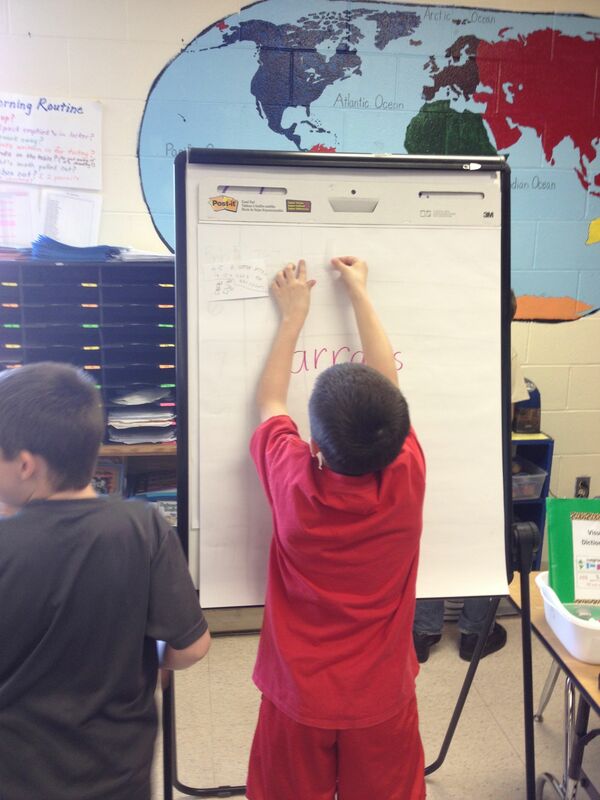 General directions: Students work in a group to discuss everything they know about all of the words on the word wall. 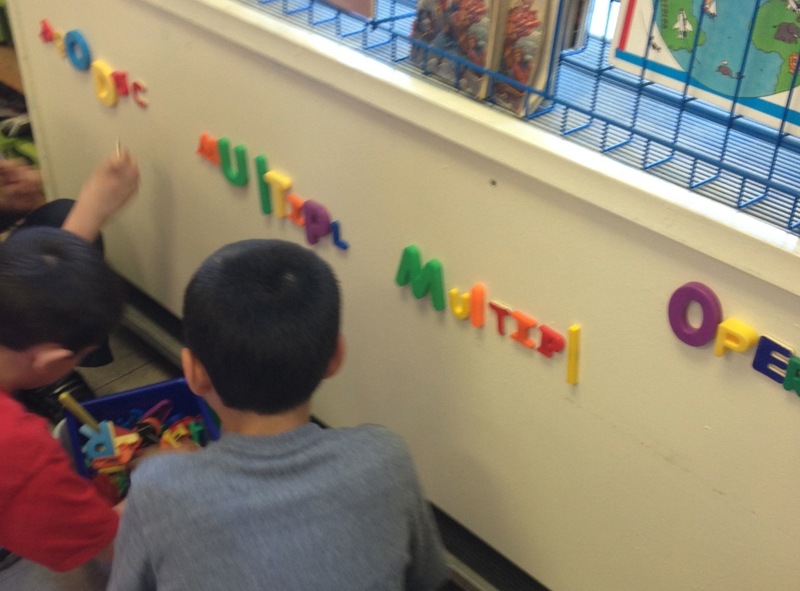 After the discussion, they work independently to choose two words and describe how the two words are connected. General directions: Students self-assess a piece of their math writing using the rubric and providing evidence for the score. They revise their writing, and then score the revised draft. These stations are easily adaptable to other content areas. In addition, they don’t need to be done as a set. 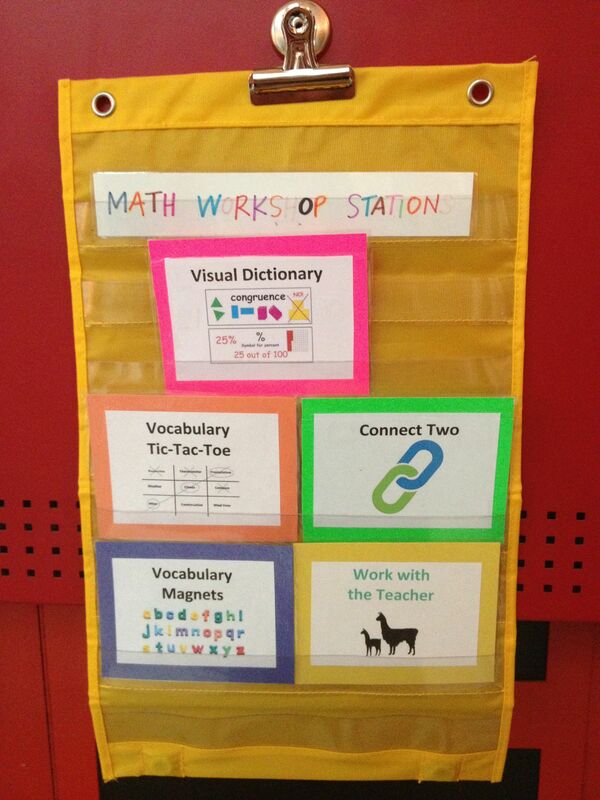 Instead, you could add just one of them to your Math Workshop station rotation to reinforce math vocabulary. How could you use or adapt these stations to meet the needs of your Vocabulary Virtuosos?